Make yourself at home in one of the 70 air-conditioned rooms featuring refrigerators. Complimentary wireless Internet access is available to keep you connected. Private bathrooms with showers feature designer toiletries and hair dryers. Conveniences include desks and complimentary newspapers, as well as phones with free local calls. Be sure to enjoy recreational amenities, including an outdoor pool, a spa tub, and a fitness center. Additional amenities at this hotel include complimentary wireless Internet access, tour/ticket assistance, and a picnic area. Don't miss out on the many recreational opportunities, including an outdoor pool, a spa tub, and a fitness center. Additional features at this hotel include complimentary wireless Internet access, concierge services, and a fireplace in the lobby. Take advantage of recreation opportunities including a spa tub and a seasonal outdoor pool. Additional features at this hotel include complimentary wireless Internet access, concierge services, and a fireplace in the lobby. Enjoy a satisfying meal at Elote Cafe serving guests of Arabella Hotel Sedona. Quench your thirst with your favorite drink at the bar/lounge. A complimentary hot/cold buffet breakfast is served daily from 7 AM to 10 AM. 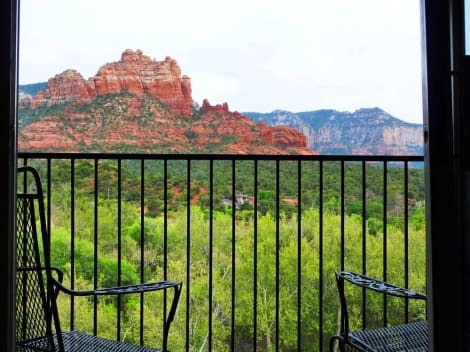 lastminute.com has a fantastic range of hotels in Sedona, with everything from cheap hotels to luxurious five star accommodation available. 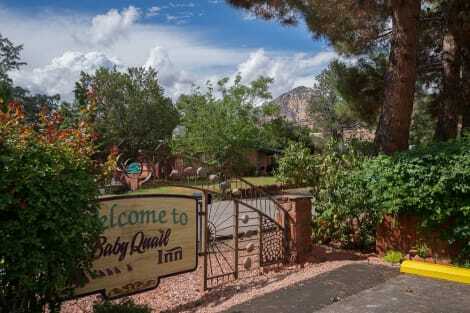 We like to live up to our last minute name so remember you can book any one of our excellent Sedona hotels up until midnight and stay the same night.